Social media, new bus lines, and increasing awareness of the environmental impacts of carbon emissions have altered the public’s perception of mass transport in Sao Paulo, Brazil. Photo by Mariana Gil/EMBARQ Brasil. Earlier this month, the government of São Paulo, Brazil, and METRÔ-SP published the results of the 2012 Mobility Survey. The data is heartening in many ways, for in a city where cars were once seen as symbols of wealth and social status, this conception of the car is weakening while the image of mass transport is emerging as the desired mode of travel. The survey shows that in classes A and B (with a family income above R$ 4,976, or $2,000 USD dollars per month) residents are reducing their car usage by 6% – while increasing travel by foot or by public transport – when compared with 2007. The combination of sustainable mobility options, with new metro lines and buses being added to the city’s transport network, and increasing social and environmental consciousness likely contributed to the change. The image of who uses mass transport is also shifting. Last week, for instance there was a stir in the media when actress Lucélia Santos was spotted on a bus in Rio de Janeiro, Brazil. While some saw this action as degrading the transport mode of the already disadvantaged, others saw Santos’ actions as a call for better conditions for the country’s transport networks. Social media has also been crucial for changing the idea of mass transport and the car in consumers’ minds, raising awareness about environmental impacts, and exposing people to the social and economic inequality associated with limited access to jobs and services. Another factor contributing to the changing perception of mass transport is the increase in rail travel. Since 2007, new metro lines were created in São Paulo, which resulted in 62% more trips on trains, while there were 45% more trips on the metro. Almost all of these new stations were opened in the wealthier areas of the city, which explains the increase in the use of this transport mode by the upper classes. The 55% increase in travel via taxis may also indicate that while people still need to travel by car on some occasions, they are giving away their own cars and depending on the services of others with cars. The upper class’ shift away from car transport challenges the commonly held assumption that cars will always be entrenched into the culture of São Paulo. The Mobility Survey shows that São Paulo’s residents might not be ready to divorce the car entirely, but they are reconceiving the terms of their relationship. Now that the populace realizes that they need to invest in public transport, the question turns to how the city is going to meet this emerging demand. Even with new lines, the metro is not yet a fully developed system in São Paulo, with just 3.75 meters (12 feet) of track per 1,000 inhabitants. By comparison, London has a 15 times higher per capita extension. New bus stops still do not offer information and schedules to its users. Unlike other major world cities, São Paulo seems to overlook new technologies that can help public transport, such as mobile applications and vehicles with GPS so users can estimate route times. Finally, there is the issue of security, especially for women at night. 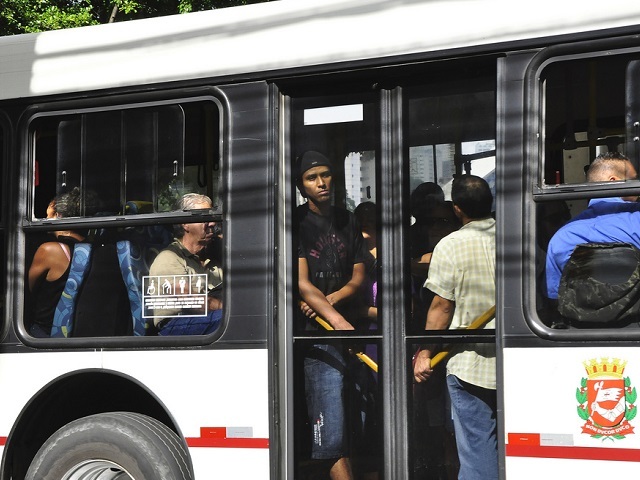 More than half of those surveyed by the State Department of Transport (DETRAN-SP) said that due to a lack of security they often avoided buses and trains when they needed to travel at night or on weekends. Their fears are understandable, as a pedestrians 3.5 times more likely to be robbed than someone driving a car. This certainly keeps many cyclists and potential pedestrians inside their cars. It is essential to not only understand but also harness the potential of these results. Building wide avenues where cars can speed by quickly only reinforces the previous paradigm. Instead, city leaders should incentivize policies such as reduced speeds, and favoring infrastructure projects that promote bicycle use, all of which encourages a change in the perception of the social value of each mode of transport. A single metro line and new bus lanes were enough to change over 6% of those who once used cars to begin using public transport. If the city expands these transport modes, they can likely change the mobility patterns of the entire city. Sustainable mobility in Sao Paulo is a work in progress. Its success depends on open-minded citizens, user-oriented planners, and innovative city leaders to make the right decisions to create a safe, sustainable, and prosperous future for the city.